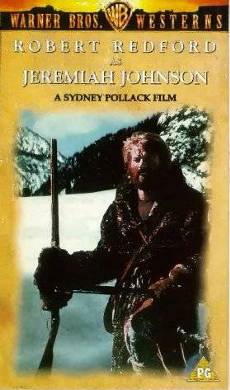 This early work of Sidney Pollack with a young and at that time unknown Robert Redford in the lead role was restored to its original version for the US-DVD release. The difference in running-time gives additional reason to a censorship report. The cover and other sources list the running-time of the US-DVD as 116 minutes (NTSC), whereas the theatrical version is listed with 107 minutes (PAL). However, the time difference that is left despite the PAL-conversion turns out to be a disappointment. Only an overture and an intermission with music were re-integrated. Besides that there is no new footage. At least the original aspect ratio in 1:2,35 (widescreen) was used, in addition to the usual fullscreen, which is so typical for Warner, on the other side of the DVD. This is essential, especially for the beautiful and award-winning nature shots, many of which could only be shot with special permissions. In the fullscreen version the slow-paced film basically lacks all its distinguishing qualities. Comparison between the US-DVD (PG) and the old UK-VHS-Version (PG) from Warner which contains the video version. The time references were taken from the UK-VHS.